Swindon, believe it or not, has some of the best cycling roads in the country right on its doorstep. On May 17th the Great Western Sportive will show this wealth of great riding with a fantastic 100 mile course through the Wiltshire and Marlborough Downs. The event is based at the Nationwide Building Society headquarters on the southern edge of the town, and takes riders straight into the beautiful Wiltshire Downs and past a host of ancient monuments including Avebury's standing stones, White Horse Hill and Blowingstone Hill. The route also winds through the sumptuous Lambourn Valley, home to many of the finest steeds and stables in the horse racing world. The famous and venerable Ridgeway (Europe's oldest continually used byway, having served as a thoroughfare for over 5,000 years) forms the backbone of the ride. It's high chalk ridge takes care of climbing duties throughout the course as the route crosses it several times. But some clever route design ensures that almost every steep, calf-crunching ascent is followed by miles of flowing, languid and sweeping descent, to revive your legs and spirits and put a smile on your face! Southern Sportive's trademark is their slick and friendly organisation. Full sportive support includes comprehensive route marking, RFID timing, feed and support stations, free energy drinks, vehicle support, finisher's medals and more. Plus there's a chance to win some great prizes from Lezyne, simply by turning up and riding. 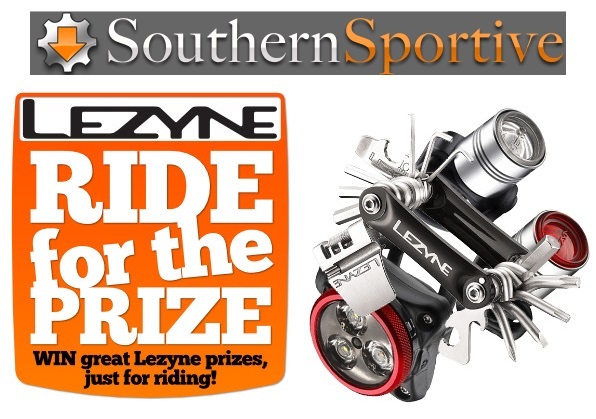 Southern Sportive's Ride for the Prize will flag up random riders on the results screen who will win Lezyne lights, tools and assorted other swag, simply for crossing the finish line. For more details visit southernsportive.com.